Home / Event / Foos. Forum. 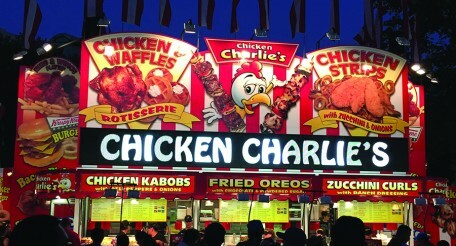 Fast Food? Los Angeles is a place known for a number of great musical venues. The Troubadour. The Fonda. The Echoplex. All of them are small, intimate settings where you can see great shows. But what if you want to see a really big, arena-rock-level show? 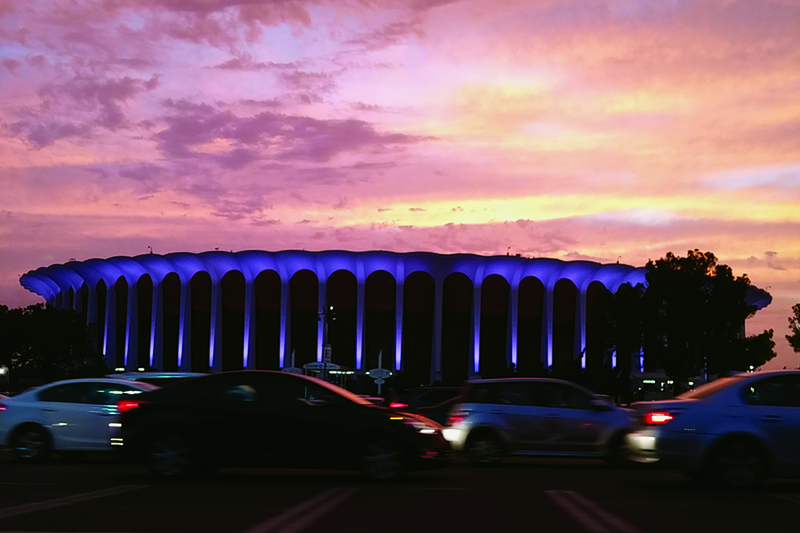 Formerly the home of the Lakers, the Forum has become a multi-purpose facility over the years, but most notably has held a number of grade A, top level musical acts. A few years ago I had my first experience at this 17,505 seat venue when Prince performed twenty-one nights in a row. The show was amazing, and it proved that even today Prince is still a top-rated performer and still worth paying the fee to see. While the acts were enjoyable, the venue itself needed some serious updating back then. 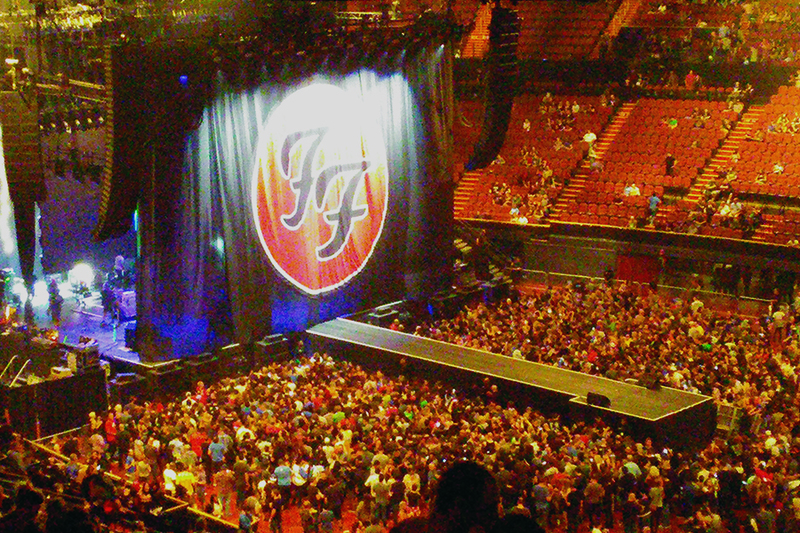 With the Foo Fighters in town last week, I headed back to the Forum for the first time since Prince and was really surprised with how much the concourses had been updated. No longer looking like a high school gym, the forum had updated its interior look, but not the seating sadly. Another thing that changed was the food and drink options. Craft beer was on tap, as well as the standard American lagers, and the menu was one that had been developed with care. I hadn’t eaten before I planned to have my face rocked off, so I decided to pick up The Forum Burger. Granted, it wasn’t exactly going to be as good as a burger from a place that exclusively makes them, we’re talking assembly line production here. Despite that though, the flavors were incredibly enjoyable and honestly was the best food I’ve had at a major event like this. 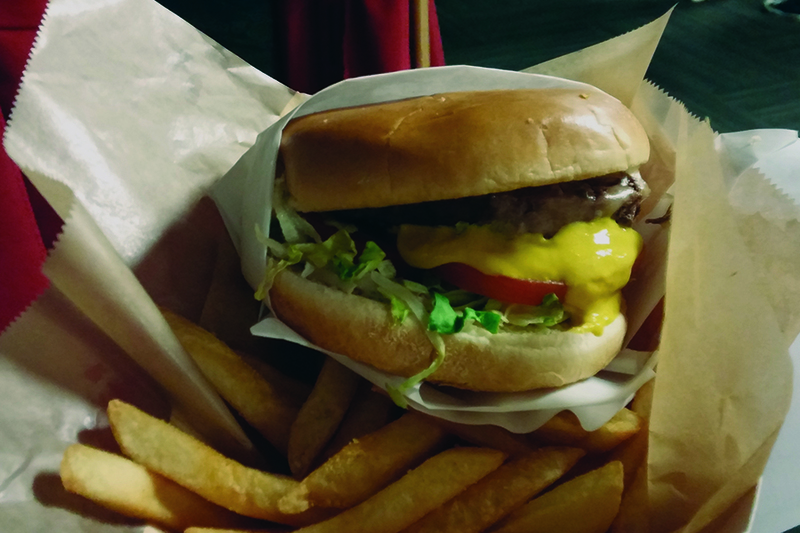 Cheddar cheese, lettuce, tomatoes and onions of a bun is your basic burger, but the beef itself was really flavorful, unlike most at other stadiums. A little bit of grease, but not too much, brought some more powerful flavors along for the ride. The lettuce and tomatoes were fresh as well, adding a contrast to the incredibly savory meat. Get the fries too. Crisp on the outside, warm and fluffy inside. it’s a great addition to enjoy with the show. Now, am I going to say this is my favorite burger in Los Angeles? Can it compete with Stout, Slater’s 50/50 or Mo’s (may it rest in peace)? Not in the least, but for your standard burger at a big event, this is not only a step up from the offerings before the renovations at the Forum, but a step above nearly every major event I’ve eaten at. And yes, it is better than some of the burgers I’ve been forced to try elsewhere. As for the Foos, the guys killed it. It was an amazing show. I hadn’t seen them for at least ten years in concert, and it’s incredible to see them even better than the last time I saw them. Stevie Nicks and Jack Black as special guests didn’t hurt either. I’m looking forward to my next experience at The Forum, and you shouldn’t hesitate to go there either. Unless it’s for Scorpions. Seriously, don’t go there for that.